A dynamic team of knowledgeable property sales specialists ready to help you find and purchase your dream property in the Grand Massif ski area of the French Alps, including Samoëns, Morillon, Sixt and Verchaix. We operate in South West France, centred in Aquitaine with Bordeaux at its heart, with a selection of properties for sale in the Gironde, Lot et Garonne, Dordogne, the Charente, Lot, Tarn, Tarn et Garonne, the south of Limousin – and now, Pyrénées Atlantiques, the northern Gers. Limoges to Pau, and across to Toulouse – all of this is ‘our patch’. you have come to the right place! NOW IN OUR 25TH YEAR. We are a small business and each client becomes very special to us. We offer a customized service, it is important to us to offer a pleasant and effective time to the people who come to look for properties in this area. 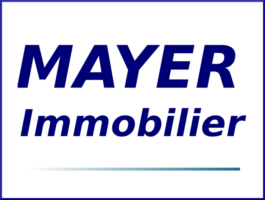 XAVIER IMMOBLIER offers a wide range of properties throughout the Tarn-et-Garonne (82), Lot (46) and Lot-et-Garonne (47). XAVIER BAELEN offers a reliable service tailored to your requirements, supported by many years of experience. As a fluent speaker of both French and English, international clients are always very welcome. France4u is there to enable you to find property in France in all ease, whether it is a barn to renovate or a mansion to turn into a luxury hotel. We pride ourselves on our service and integrity. Our regional partners have also been chosen for these characteristics, and they are all profesionnals with years of experience. Discover Megève differently with Brangi Immobilier. We offer a complete service to both buyers and sellers, from valuation through to completion, and can offer a varied property portfolio of chalets, apartments and plots of constructible land. Our in-depth knowledge of the local market means we are perfectly suited to assist with any property search in Megève and its surroundings. Contact us to discuss your requirements. With over 80 properties for sale in the Morzine valley from chalets, ski-in/ski-out apartments to farms and land, Géranium Immobilier’s team of bilingual staff are here to guide you through the buying process to find your dream Alpine home. 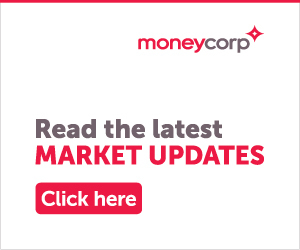 Mountain Base is a French registered British estate agency offering property for sale in the Chamonix Valley. By focusing exclusively on property in the Chamonix area, we are able to provide a specialised and personal service to sellers and buyers alike. Compass Immobilier is based in the beautiful rolling hills of Gascony, Gers and the Hautes Pyrenees of south-west France. Fully implanted in the local community, the head office of Compass Immobilier is in the lively spa town of Castéra-Verduzan in the Gers, with a satellite office in the market town of Trie-sur-Baïse, Hautes-Pyrénées. 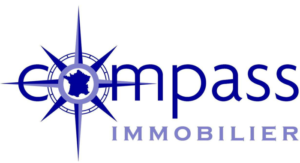 Under the directorship of Victoria Maître Headdon LLB Hons, a qualified lawyer, Compass Immobilier offers tri-lingual estate agency services, specialising in bespoke property searches, tailor-made to the requirements of its clients. The pro-active and helpful team at LBV Immo are passionate about the service level they provide to vendors and prospective purchasers alike. Very ‘hands-on’ you are likely to speak to one of the Directors when you call – office open 7 days a week! Company owner Suzanne Jenkins-Pearce, holds her own Carte Professionelle issued by the CCI : Ouest Normandie and is fully insured. 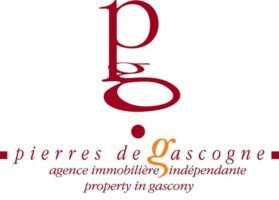 Established since 2000, PIERRES DE GASCOGNE is a ‘boutique’ real estate agency, located in the rural department of le GERS (Castéra-Verduzan – Lectoure – Condom – Fleurance – Vic-Fezensac – Eauze), focused on selecting and offering its French and international clients a choice of selected properties with authentic Character and Charm. 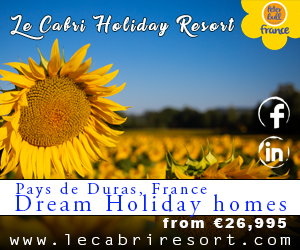 Our portfolio offers the best selection of quality properties for sale throughout South West France. From elegant manoirs and historic chateaux to prestige vineyards, the finest that France has to offer is here. 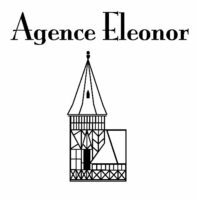 At Agence Eleonor we are an experienced team of property specialists. Whether you want to buy or sell, ranging from a ruin to a chateau, contact us or call in to one of our offices for friendly and professional advice. All types of property for sale southern France in the Languedoc where you get 300 sunny days per year average. Our website offers a large range of properties. Website daily updated ! My-French-Home.com run by Agence NEWTON, is your one stop website for a large selection of properties covering Western France: Brittany, Normandy, Limousin, Charente, Dordogne, Quercy and the Pyrenees. Finding the best locations in exceptional surrounding, building prestigious properties using quality and durable materials, and providing the best customer service, is what Promoteam strives to do, in order to build mountain dreams for each client. Full FREE help in english, before, during and after the sale and full free help too for the setting of your mortgage loan if you need one. All binding contracts, mandate, statutory reports are translated to you, FREE OF CHARGE. 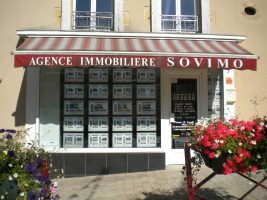 SOVIMO is your Real Estate Agent in Confolens area who will help you to realise your dream house project! Located in the heart of the medieval Bastide village of Eymet, we are open 7 days a week, have French, English, Dutch and German speaking consultants. 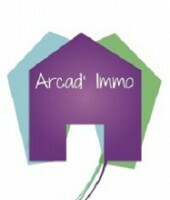 Arcad’ Immo offers invaluable expertise to clients across sales, lettings, land purchase and lettings management. 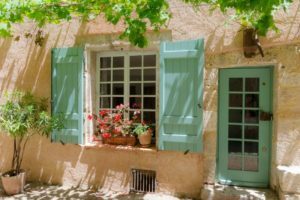 British run property search and estate agents, covering L’Isle-sur-la-Sorgue, the Luberon and throughout the Vaucluse department of Provence. Our local knowledge finds you the best property at the right price, and helps you throughout the purchase process. All types of property including mas, village houses, chambres d’hôtes, chateaux, renovation projects and more. Fulfill your dream of purchasing prestige property, holiday homes, portfolio investments, or business ventures in the Languedoc-Roussillon region of France with AB Real Estate. Beautiful South estate agency, based in Perpignan, represents character properties for sale across the southern Languedoc region. We offer specialist knowledge of the region and friendly advice that is so important when buying your next property. Looking for that perfect home? Our dedicated bilingual team will help you realise your dream – assisting with every aspect from search to purchase, giving you complete peace of mind. Finding your dream home is the fun part but everything that comes afterwards can quickly turn into a French administrative nightmare! Find out how we can help with this and much more. For more information visit the Aquitane Lifestyle Solutions profile. Auvergne Properties is an estate agent specialized in the sale of character properties in the Auvergne region of France, with more than twenty years experience in this region of France we can offer you expert advice with regard to both the purchase and/or sale of your property. In addition to our activity as estate agent, we can also help with renovation or construction projects via our building company, SARL Baticer. A warm welcome assured from our Anglo-French owned agency, located in the heart of the Poitou Charentes. Our experienced bi-lingual team are here to help find your dream French home. > Bi-lingual advice and cover for all insurance requirements including Health, Car, Property, Marine and Commercial. We can be your partner for all your requirements in France from the smaller risks through to high-end risks from a wide range of insurance companies. Get a free no-obligation quote.